Keyword selection is very important so you can attract users who have an interest in your product and/or services, and who may lead to potential customers. 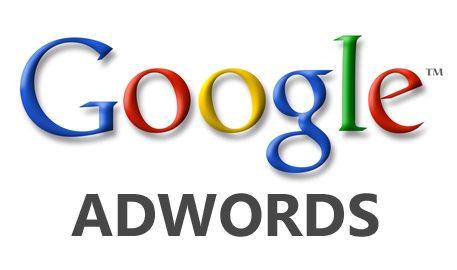 It is very easy to use keywords recommended by Google Adwords, and the highest ranking from estimating traffic tools. However traffic is a very important part of a successful campaign, but the quality of this traffic is most important as these users can become potential clients or purchasers. Don’t enter into bidding wars. Try to find a niche in your market that users will be interested in. Make your ad stand out from the rest, and it is more likely to be clicked. To get the best out of the budget. Breakdown down daily costs, and start low to begin with as this can ensure you are bidding on the right keywords, at a cost effective price so you don’t loose too much expenditure. Use text that will entice customers by describing your products, services, what you can offer and why it will benefit the customer. Try to improve your quality score by including keywords in the title or description. Register, Sign up – use keywords that will help the user know what to expect on the next page. Use Call to Action keywords such as Order Today, Free Shipping, Act Now and many other keywords, which will ad a sense of urgency. An urgent offer will put the customer on high alert to act before it’s too late. 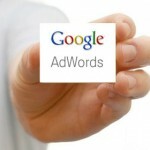 Google Adwords algorithm now reviews landing pages and quality of these pages. This means it is extremely important to make sure this page is relavent to the campaign. Directing the customer to this page can generally result in a higher success rate directly to homepage or any other irrelevant page. Google’s feature allowing multiple ads to be created and rotated within a single ad group. Use different ad text and see which version is most successful. The more successful the ad the greater the Click Through Rate (CTR). Take note of campaigns that worked and why. Keep track of all campaigns you have created, never delete any. Ideas that may not have worked months before may work today. Try to learn from campaign mistakes, change your ads based on what was learned from the ones recorded. Just a Couple of small tips to help you on your way in Google Adwords Campaigns, if you need further assistance call our office on 071 9170024 and set up a meeting with one of our eMarketing Consultants. Omni Science Design improve our website traffic instantly with a dynamic website covering all our needs and ambitions. OSD's after-service is excellent, we are pleased to have such an efficient service for our growing web needs. Obtaining the services of OSD has been a huge fillip to that side of the football club.